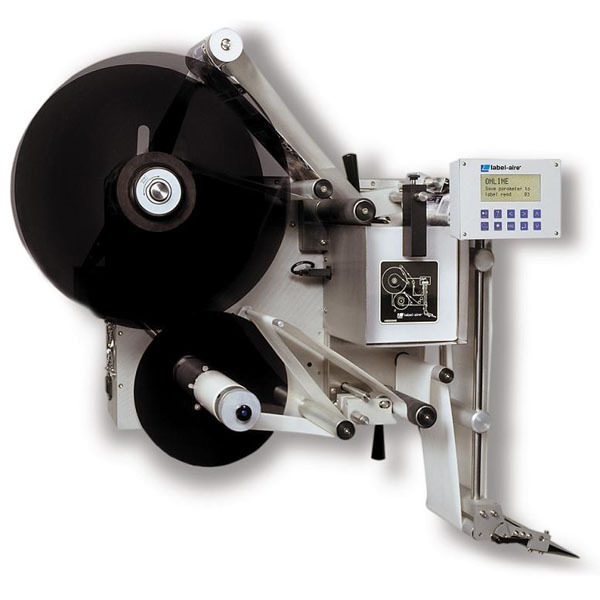 3125 Wipe-On Label Applicator delivers on its promise of speed, accuracy, and ease of use. That translates into lower operating costs and increased productivity for your business. Speeds up to 2,500 inches (63.5 m) of web per minute make the Model 3125 an ideal choice for demanding applications requiring high speed and precision. Advanced features include Automatic Speed Following (ASF) which allows product surface profiling, ensuring wrinkle-free labeling on even the most difficult product shapes and label materials (optional encoder required). Zero Downtime Labeling allows your production to continue without costly interruptions. Product/label queuing and missing label compensation virtually eliminate unlabeled products or missing lot and expiration codes. Put this high-speed wipe-on pressure-sensitive technology to work for you all day, every day. The Model 3125 Wipe-On Label Applicator is built to meticulous quality standards and designed to withstand the most demanding operation.